When Pete Seeger first met Woody Guthrie in 1940, he thought of him as just “a real good ballad-maker.” A Harvard dropout, Seeger aspired to a kind of downward mobility: he wanted to become a member of the class of regular folks who made and sang folk songs. 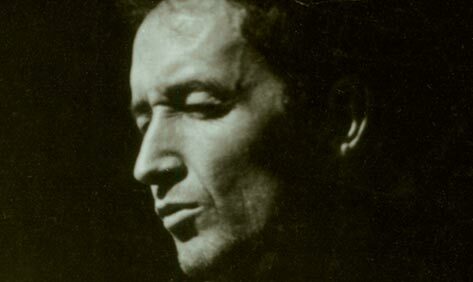 Woody Guthrie already had considerable street cred in that department: he was filled with stories of his native Oklahoma, and of Texas and elsewhere, and he wrote song after song about the people and places he had known. Seeger started spending time with Guthrie. “I was learning a lot” from him, recalled Seeger. Along the way, Seeger came to realize that Guthrie possessed “the genius of simplicity” — that he was a great poet, and much more than a balladeer. The two traveled together for a few months, wrote a book together during the Depression (called Hard-Hitting Songs for Hard-Hit People), and sang together as members of the Almanac Singers in the early 1940s. As leftists, both flirted with Communism. But they were musicians foremost — and although the paths of their songmaking lives diverged after the early 1940s, they are reunited forever at the top of American folk music’s Mount Rushmore. This has been a banner year for both Woody Guthrie and Pete Seeger. Guthrie turned 100 this year, 45 years after his early death from Huntington’s disease. There have been celebrations of him everywhere — including in print. Two new books, Woody’s Road, by Mary Jo Guthrie Edgmon and Guy Logsdon, and Robert Santelli’s This Land Is Your Land, deserve special mention. Meanwhile, Seeger has, at the age of ninety-three, placed an exclamation point next to his prodigious output with a marvelous compendium called Pete Seeger: In His Own Words. As Woody Guthrie’s youngest sister, Mary Jo Guthrie Edgmon has been displaying her brother’s letters to her, documents she has saved for many decades. She’s given many presentations of these treasures near her Oklahoma home, and now she has collaborated with the Oklahoma historian Guy Logsdon to frame a book around them. The lavishly illustrated Woody’s Road makes a splendid showcase for Edgmon’s amazing relics, framed by an accessible account by Logsdon of Guthrie’s life. Woody Guthrie is Oklahoma’s most famous son, but he left the state at age twenty-one and never lived there again. Fleeing the dustbowl during the Depression, Guthrie zigzagged around the country for years, bouncing from coast to coast, taking in the nation during hard times — and always writing about what he saw. Guthrie wrote thousands of songs, more than he could ever record. Everyone knows a few, even if they don’t know the writer: “So Long, It’s Been Good to Know You” is one of his. So is “Hard Travelin’.” And of course “This Land Is Your Land.” His best-known songs follow the dictum he wrote at the bottom of the manuscript of that still-rousing classic: “All you can write is what you see.” What Guthrie saw were other people, the ones he grew up among, and whom he met on his travels: the poor, the workers, and the disenfranchised. His lyrics evoke their lives with humor, and also with anger — and we remember him for those portrayals. Throughout his short but amazingly productive life, Guthrie maintained a steady correspondence with his sister Mary Jo. The letters are revelatory — and also beautiful. Guthrie was an artist as well as a writer, and he frequently illustrated his letters, so many of them dazzle like illuminated manuscripts. He was not a man given to public introspection, but his sister’s collection provides a more private view of this extraordinary artist, the one he showed his family. To them he could write of his hopes for a hit song (“if and when another dustybound hobo squeezes his way into your backdoors with a fistful of Hundred dollar bills and tosses them all over your floor and furniture, the traveler and the dust both will be me”). To them he could report the joy and pain of the death of one child and the birth of another. Woody’s Road is a treasure chest of intimate portraits of an artist who, for all of his great work, we still need to know better. Meanwhile, Robert Santelli approaches Guthrie from more familiar territory, writing what is in effect a biography of his most famous song. Like Woody’s Road, Santelli nests his story within the larger one of Guthrie’s life, of which he provides a rich contextual account. But This Land Is Your Land is most remarkable for the way that Santelli lets Guthrie’s wonderful anthem act as a prism through which to view both the singer and his context. Writing in response to Irving Berlin’s “God Bless America” — though not, Santelli notes, in direct protest of that earlier song — Guthrie started on a song he originally called “God Blessed America.” He wrote down the lyrics in 1940 but didn’t record them until 1944, for a small record company run by his friend Moses Asch. Asch was more of a folklorist than a businessman, and he recognized the value of capturing Guthrie’s songs on tape. But he released only a few of the scores of songs he recorded. Asch did not release “This Land” until 1952, when he included it on a children’s record. The distribution of Asch’s records (now under the label he named Folkways) was limited, and few people noticed Guthrie’s remarkable song. Guthrie, for his part, was no longer able to perform. The symptoms of Huntington’s disease, a progressive neurological disorder that comes on in midlife, were upon him, and his disintegration was inexorable. He spent his last years in institutions, unable to control his own movements. It was left to other singers to take up Guthrie’s mantle. “This Land Is Your Land” was recorded by the Weavers in 1958, but by then the song was already part of the national consciousness, thanks to countless performances of it by other musicians. Pete Seeger surely sang “This Land Is Your Land” more than anybody else, as a member of the Weavers and on his own. For the many years Seeger sang Guthrie’s songs, he stands as the unofficial godfather of the legions of “Woody’s children” who people the American folkscape. Seeger’s interpretation cherishes the dual nature of the original as celebration and protest — he has never omitted the verses that were often left out of the song by more timid performers. There’s one about a sign that says “no trespassin'” (“But on the other side…it didn’t say nothin! / Now that side was made for you and me”) and another about people standing at the relief office (“some are wonderin’ / If this land’s still made for you and me”). Pete Seeger has led many audiences in song over the generations. He has for years kept an archive of his epic life in his barn in upstate New York, and when the father-and-son scholarly team of Rob and Sam Rosenthal sifted through that archive, they worked together with Seeger to produce an extraordinary book that is aptly named Pete Seeger: In His Own Words. The book contains some great stories about Woody Guthrie, of course, and of other music legends like Lee Hays and Paul Robeson. But it centers on Pete Seeger’s own epic life and causes, displayed through letters, reprints of long-forgotten articles, and remarkable documents like a 1956 letter that Seeger wrote to his grandchildren — he didn’t yet have any — to be opened after his death, “or around the year 2000 A.D.” The letter provides a glimpse of Seeger struggling to reconcile the ideals of communism with the brutal acts committed in its name that Seeger deplored. The section on Seeger’s communism, including descriptions of his blacklisting, is one of the most fascinating in the book. Pete Seeger is both immensely ambitious and radically self-effacing — and that’s just one way to define the man. He’s almost pathologically humble, even as he wants his work to ripple as far outward as possible. I asked Seeger in a recent interview what he thought people should learn about him from his new book, and he quickly answered, “My mistakes.” (One of those: “I never wrote about my wife. I admired her but I didn’t realize until I was an old man what an absolutely extraordinary person she was.”) Pete Seeger: In His Own Words sets up a dialogue between youthful Pete (“This I believe”) and Old Pete, as he now calls himself, who breaks in through footnotes to mark the distance between what he believed then, and now. These documents, and Seeger’s notes of his changing perspective, together open a portal to a time capsule. They offer intimate insight into a man who has constantly sought to live a life of principle. Principles can be boring, but Pete Seeger never has been. “Union songs must be fun,” he wrote in 1946, and he extended that rule to the rest of his life. His life of marching and globetrotting has given him many good stories to tell — and this book is full of them. Pete Seeger has always been a lively writer. Like the music he and Guthrie created, Pete Seeger: In His Own Words is at once a historical treasure and a vehicle of joy. Leonard Cassuto is a professor of English at Fordham University and the author of Hard-Boiled Sentimentality: The Secret History of American Crime Stories, now available from Columbia University Press. He can be found on the web at www.lcassuto.com.